Just launched and moving fast. Tiny $1 2x2 rainbow matrix series with a real pot of gold at the end. JOIN ANY/ALL OF THE SITES BELOW AND SEND ME A SUPPORT WITH YOUR USERNAME HERE AND AT EACH SITE. 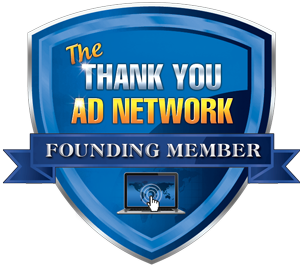 I WILL ADD 1 MILLION ADVERTISING CREDITS TO YOUR ACCOUNT FOR EACH ONE YOU JOIN FREE. UPGRADE AND I WILL UPGRADE YOUR ACCOUNT HERE TOO AND THROW IN A MASSIVE ADS PACKAGE (Click here for details). THIS PRIME ADVERTISING SPOT IS FOR SALE. Trade commissions or send payment to my PayPal account. I will display up to five button banners here per week at a cost of $2 each. Contact me via Support to check availability, trade commissions or payment options. I will need the full button banner html code and your ad will be added here the following Monday until Sunday. We have now officially launched. Please set up ALL your ads so new members have something to read when they join. I hope you will all help me to promote this site so we can grow in membership and responsiveness. This is your site too so any efforts will benefit us all. Please join my other sites too. Join any/all of these programs, upgrade and contact admin with your sponsor's name and YOUR referral URL and it will be added here in the rotator for that site within 24 hours. Why not use your commissions to upgrade at these opportunities? Simply join, contact me via support with your username here and within the program, and I will pay your upgrades there. First 1000 Will Get FREE JV MEMBERSHIPS! Earthlink, Comcast, ATT Email Addresses. We recommend a free Gmail Account. This Exchange IS NOT A PTR, PTC or PTP SITE! DO NOT JOIN THIS SITE IF YOU HAVE SUCH EXPECTATIONS. Must be a SJV Member to request a General Cash Repayment. A minimum of $25 is needed to request a cash out. ALL/ANY Cash Commissions Requests will be reviewed. May be paid up to 14 days after request and review of referrals are complete. NO CASH PAYMENTS for CLICKING ON ADVERTISING (PTC). This is not a PTR, PTC or PTP CLICK SITE. CAN ONLY be used to PURCHASE points, upgrades or site advertising. NO CASH PAYMENTs FOR PAY TO CLICK CASH EARNINGS. 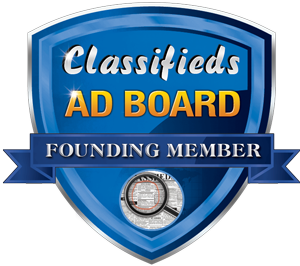 All Members may TRADE any earnings for Advertising, upgrades or points. All JV, PRO or FREE Members can only use ANY Cash Commission Earned to Purchase Advertising, Upgrades or Points. you do not intend to be active. By joining you agree to receive emails from Text Ad Kingdom. You are also agreeing to the rest of our Terms and Conditions. You can view the list of banned emails here. The Real Time Script Store!